Queen City's Learn to Sail programs welcome both members and non-members, young and not-so-young each summer. 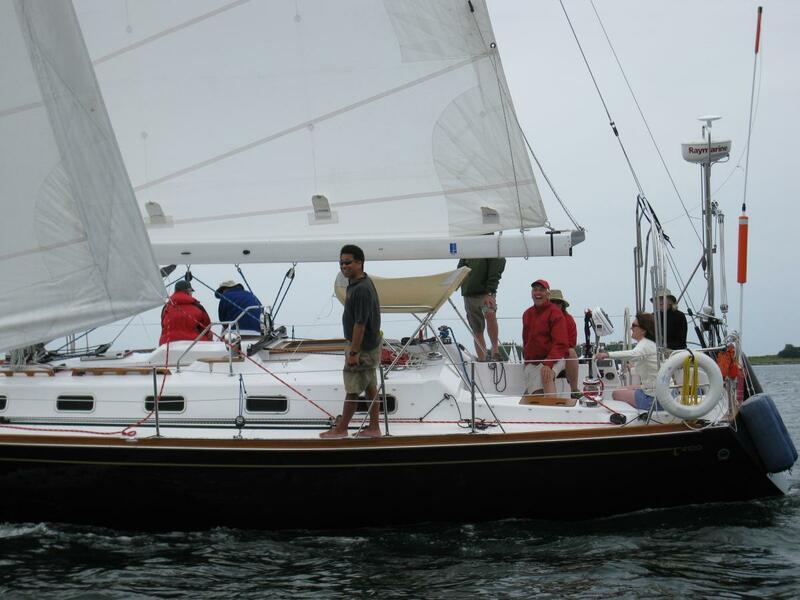 We operate one of Toronto's oldest sailing schools, in definitely the most beautiful surroundings. Whether you are a youth looking for an awesome summer day-camp or an adult who has always wanted to get into sailing, our instructors will find a curriculum that works for you. Once you've learned how to sail, there is really no better or funner (yes, I said "funner") way to hone your sailing skills than some friendly competition. Wednesday nights are regularly the busiest nights at the club as a majority of our members either skipper or crew in our Club Racing Series. For such a small club, we pride ourselves on our the success that our racers have found all around Lake Ontario (and beyond) since 1889 and it all begins right here in Toronto Harbour. While we do occasionally welcome a boat or two from other clubs on Wednesday nights, there are also two big races each year which are specifically open to racers from outside the club. The Women Skippers Race, as the name implies, is a ladies-only-on-the-helm (co-ed crew is allowed) event and is a long-standing tradition at QCYC. Then, on the second weekend in September, the QCYC Open Regatta closes the LORC regatta series welcoming boats from around the GTA and elsewhere to celebrate another great season of racing. Whether or not racing is your thing, most sailors enjoy a nice weekend away on the boat to some exotic port... like Etobicoke, or even Niagara-on-the-Lake. Club-organized Cruises are scheduled a few times each summer and give our members a chance to travel together and bring a little of the QCYC spirit(s) along with them.